I've received a ticket after parking on marked school entrance. I did this on the basis that the restriction is not effective on a Saturday. As such, I believe it reverts to a SYL which per the other signs on this section of the road (no pic and not referenced in council evidence) is either pay and display or use your permit.  I am a permit holder which was clearly in view and has been included in the council's evidence. Not sure if the 5 tonne / school bus white sign below the main yellow has any relevance or means I was wrong. Any help appreciated. What is the restriction for the yellow line? I've not seen code 20 before - as PMB says looks like a wrong one. Is it in a controlled parking zone? They don't need templates for single yellow lines, only signs at entrance to the zone. Or templates if different from the CPZ. "Single yellow lines or stripes mean no waiting or loading at the times indicated on nearby signs or signs at entry points to the Controlled Parking Zones (CPZs). Please read these carefully." The only nearby sign other than the ones above is this one. Given no times are offered I assumed the restriction is to have a ticket or permit (outside the school restriction times). Use to have bays by the looks of it - CEO obviously in a time warp. I expect they've opened a new school entrance. OP - this means you mustn't park on single yellows during controlled hours. We think you may have been lucky here and even with the correct code there is grounds for confusion not only with the school markings but the parking sign. 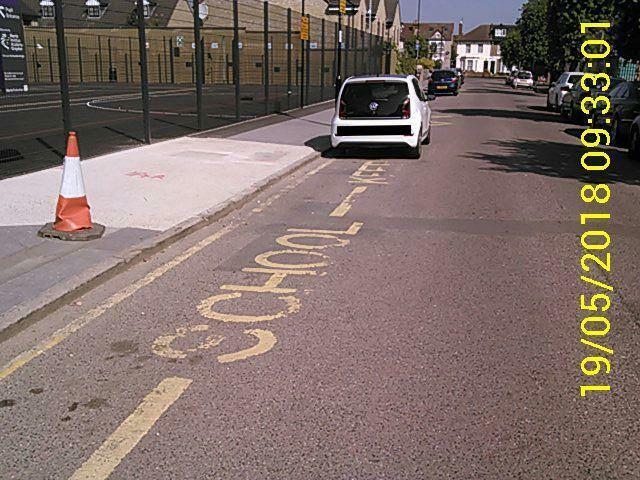 This case seems to me to be a classic example of the confusion that very often arises when a length of carriageway is at some times subject to a school entrance stopping restriction and at other times subject to a standard waiting restriction. There is nothing unlawful about such an arrangement; indeed it is not at all uncommon. 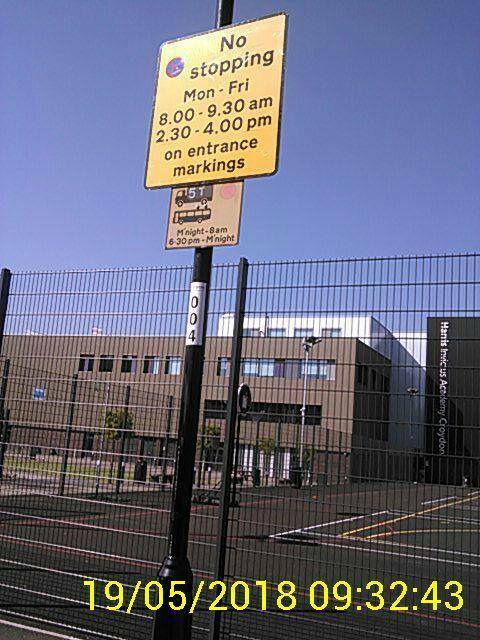 However what can so easily happen is that the motorist’s attention is drawn to the very large school entrance sign which the motorist then assumes is the only restriction in force. 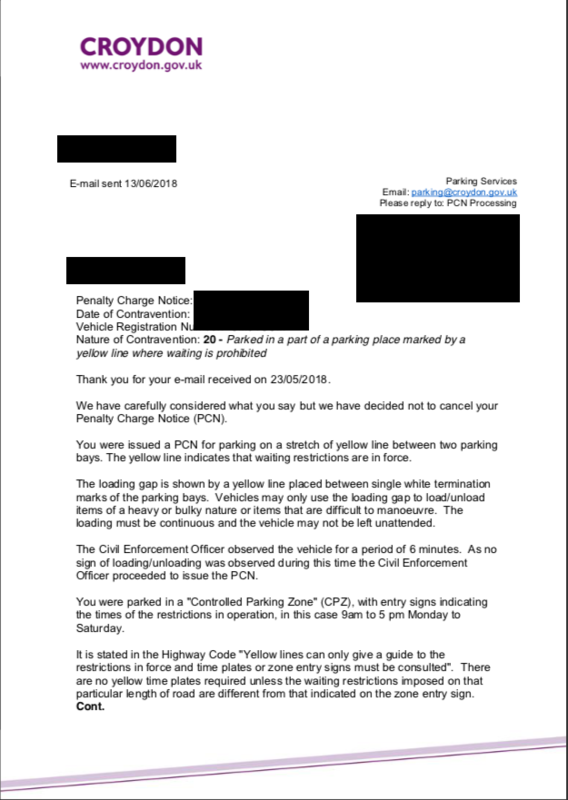 The effect of the underlying single yellow line is easily overlooked, particularly where, as in this case, the line is not plated because it is within a controlled parking zone. The Traffic Signs Manual is not law as such. However it is very detailed official guidance from the Department for Transport and I take the view that where issues of clarity of signage arise a failure by a Council to follow its recommendations (particularly one as specific and pertinent as the one set out above) places on them a heavy evidential burden to demonstrate that despite the non-compliance the signage is nevertheless clear. In the present case there is no evidence of the presence of the recommended co-located signage (indeed no evidence of any CPZ signage either). I am not satisfied that there is anything to suggest that there was some particular feature of this location that made it unnecessary to follow the TSM recommendation. In my view this is a case where, CPZ or no, for clarity a time plate is required on the same post as the school entrance sign. The Appeal is therefore allowed. Hope this gets to appeal, adjudicators are (in the main) human and deserve a laugh now and again. 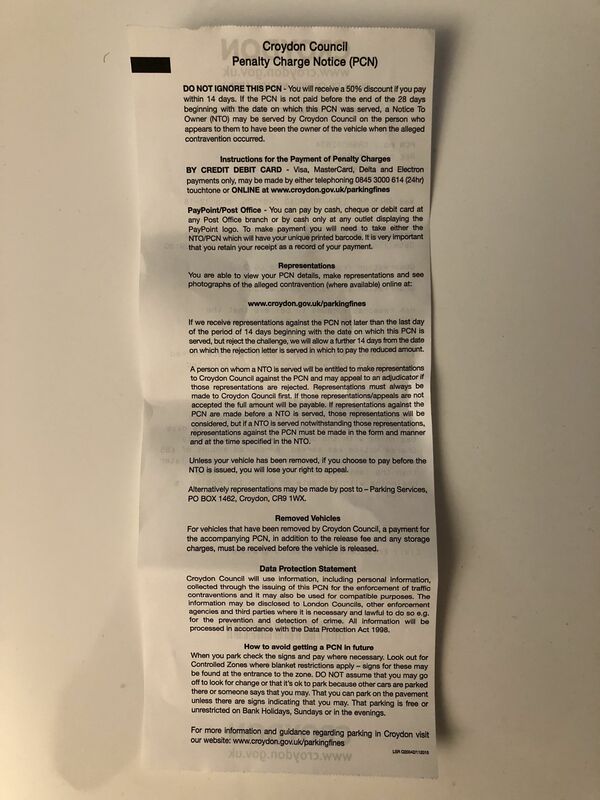 Contravention is nonsense. Signs are nonsense. You can't have 1 with either 2 or 3. Carry on and if they're ignorant enough to continue to resist win at adj and, based on previously well-crafted reps, claim costs. 1) CEO has selected a contravention code which has no relevance to this section of the road. 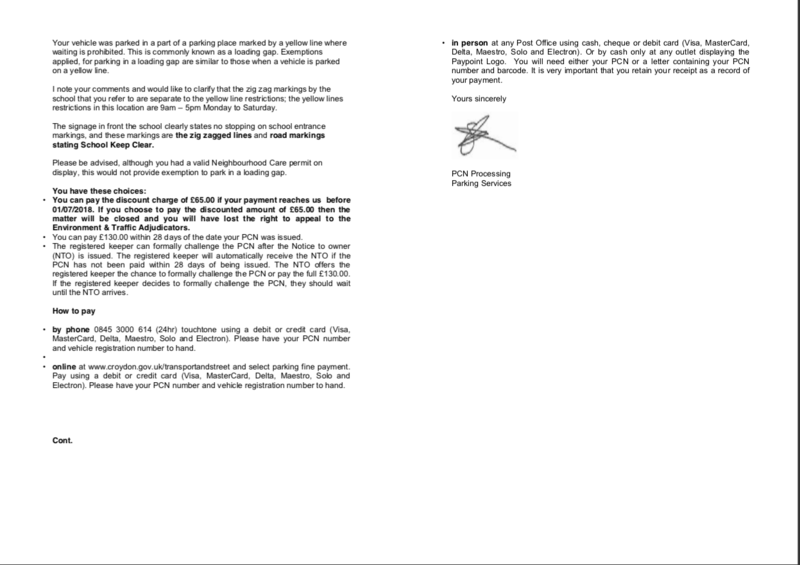 Code 20 alleges the existence of a 24/7 parking space which cannot be reconciled with the part-time stopping/waiting restriction created by the school entrance markings and signage. 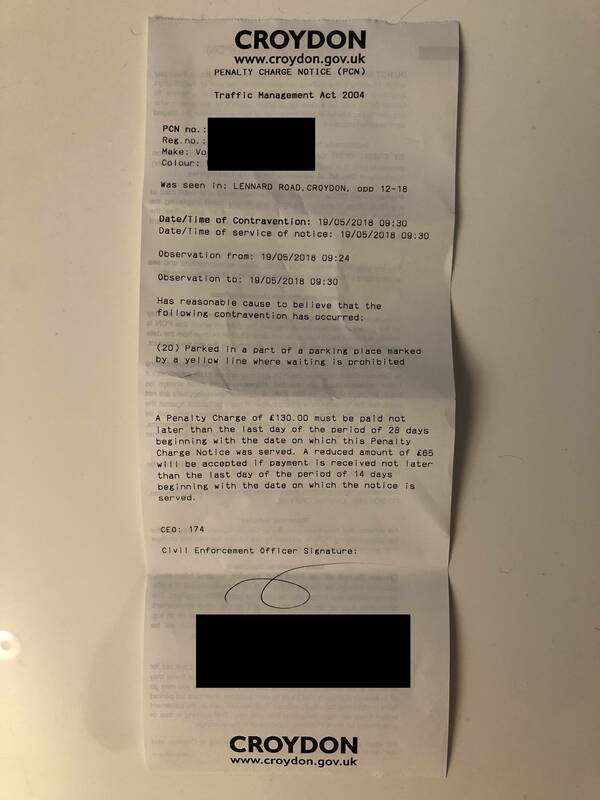 2) There is a pay and display sign [attach] without timing restrictions which invites the reasonable driver to conclude that, while the single yellow line is effective, the restriction it imposes is that a ticket or permit should be displayed. Per the evidence provided by the CEO a valid permit was on display. The council's own guidance of how to deal with a single yellow line recommends nearby signs are read carefully - the proximity of the signage to where the alleged parking offence occurred creates the expectation that it applies notwithstanding other relevant CPZ restrictions. 3) No evidence has been provided by the CEO in terms of adequate entrance signs to the CPZ imposing timing restrictions on parking on single yellow lines at the time the PCN was issued. The Traffic Signs Manual places heavy evidential burden on the council to prove that co-located signage is clear, and this has not been established. Actually, I may have to drop 2) - seems the sign is no longer there looking more closely at the evidence. Compared to G Street View a whole patch of tarmac has been reset. I'll go back and check it tonight. pics or cogent description of exactly where you parked? Mine is the white VW. The council evidence contains more photos but they're all just different angles of the car, sign uploaded and my valid permit. I'm losing the plot lately; dunno how I missed the pics. I echo all previous views, for what it's worth. You're not my CEO are you? Thanks. If you zoom out to the main road and look down Sutherland (more recent GSV footage) it seems there is one now. Any opinions welcome. I do plan to appeal as the scope for confusion has been upheld enough times before for me to consider it worth a go. Is anyone still of the opinion that code 20 has wrongly been used? And if so, why? It seems to me this is a straightforward 01 contravention but this rare code 20 seems to mean "a yellow line inbetween two parking spaces" (according to Wandsworth) so may just be an alternative to code 01 or 02 in this situation. Camden for example doesn't list code 20 and presumably doesn't use it. 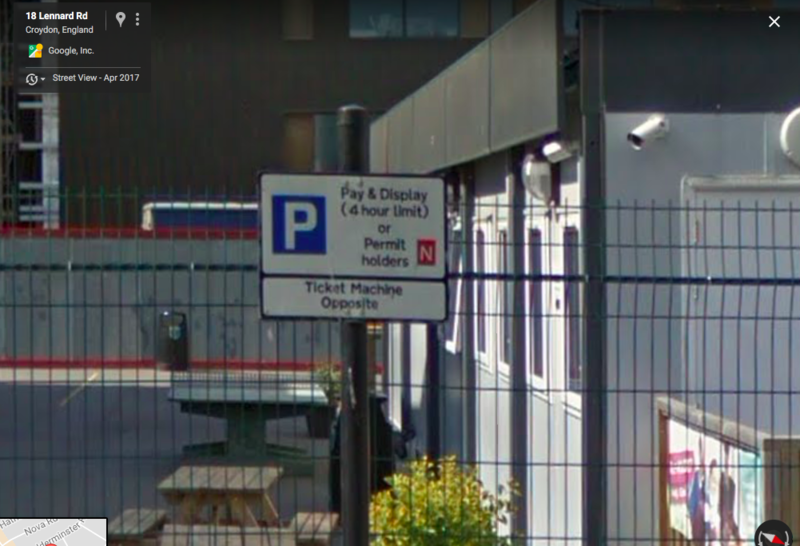 But the contravention is "Parked in a part of a parking place..." which leads me to also think there is a parking places order between the bays, as that sign that is no longer there did say. Croydon is calling it a 'loading gap' for some reason. Need some debate on this.